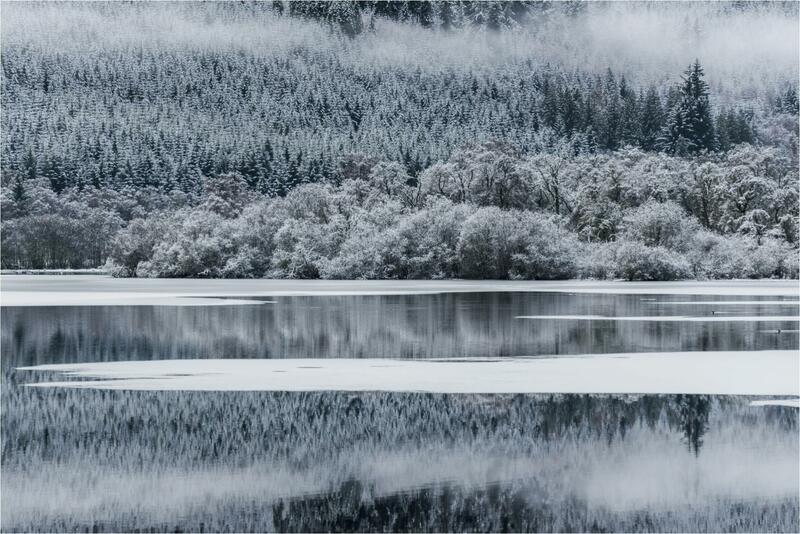 This year has seen an extraordinary amount of snowfall in the Highlands of Scotland. Each time I think there can’t be any more snow, I wake to up to another beautiful white scene outside my door. One of the most important things with snow is to be ready to go on the first snowfall. So on this occasion last week, I was very ready with new winter tyres, bags of salt and a snow shovel packed in my van. The problem isn’t with the driving, its finding places to stop in these conditions and then being able to get out of these parking places after the shoot! 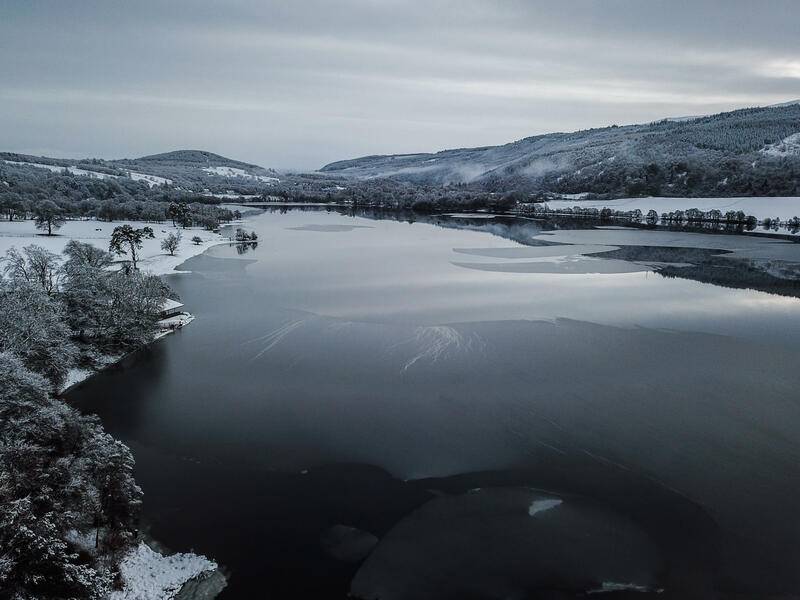 I went down to the Loch closest to my home last week and was lucky enough to find it amazingly still, half frozen and with some low cloud lingering around. With a love all of things quiet, I adore a snowy landscape. It always seems to still and so quiet – possibly because there are few people who are out and about in these conditions. But also the frozen chill in the air seems to stop everything in time, the trees seem frozen into place and on days like these the water is a smooth and still. It is like time has stopped for while and we can all just take a breath, stop and enjoy the incredible scenes.